Jerry Lee Lewis was born on September 29, 1935, in Ferriday, Louisiana. civic centers, etc. At the age of l5, he was playing professionally for a travelling revival. divorced in just a few months. 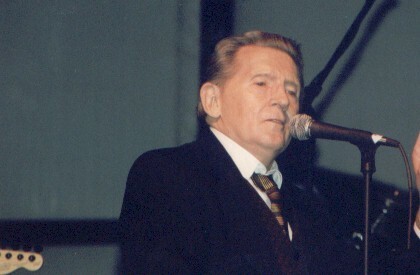 By the age of 21, Jerry Lee had remarried and had a son, Jerry Lee Lewis, JR. (now deceased). however, insisted that they record him so that Mr. Phillips could hear him upon his return. old cousin, Myra Gale Brown, daughter of his bass player. Jerry Lee an international star. April 28th was named Jerry Lee Lewis Day in Memphis by Tennessee Governor Don Sundquist.